Sony's most affordable full-frame camera is certainly nothing to scorn at. Class-leading picture quality, enhanced usability, sharp 4K-video, and fast shooting rate and focus response. Low resolution viewfinder and display, moderate weather proofing, and only one UHS-II slot. Five years ago, Sony released their first mirrorless, full-frame system cameras. At that time, both Canon and Nikon dominated the market for system cameras. And definitely the market for high-end cameras with full-frame (24 x 36mm) image sensors. The two Sony cameras that were released in 2013, Alpha 7 and Alpha 7r, were much smaller and lighter than the equivalent cameras by Canon and Nikon. However, they had some ergonomic challenges; the autofocus was slow, and the response time was anything but impressive. The battery life was ridiculously low, and the electronic viewfinder was nothing to brag about. The range of lenses was a joke, and the startup-time was a pain. Canon and Nikon may hardly have felt very threatened by Sony’s full-frame attempt at the time. Fast forward to the present time, and the situation is completely different. 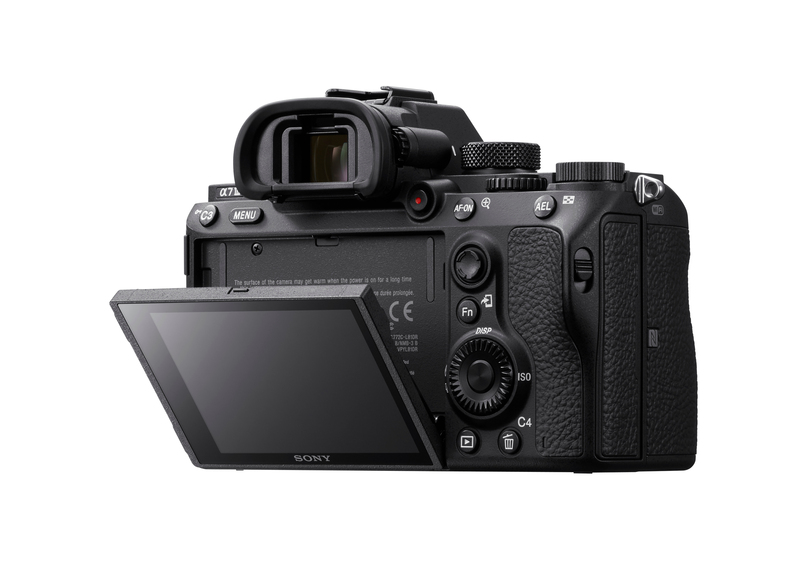 Sony is on its third generation of mirrorless, full-frame system cameras. Battery life and lens selection is far superior, the ergonomic is of a world apart, the cameras are incredibly fast and the viewfinders are finally so good that there is nothing to complain about. The short journey since 2013 has also brought Sony up to second and third places in many markets, and Canon and Nikon have every reason to feel threatened by Sony’s position within the camera market. 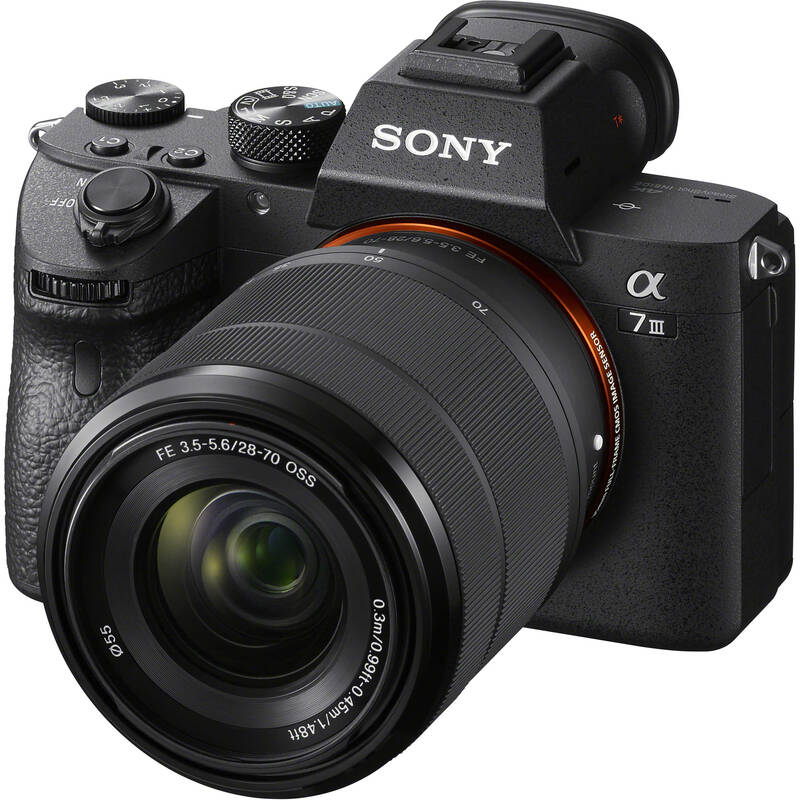 As its name suggests, Sony a7 III is the third generation of their most affordable full-frame camera in the mirrorless class. It has grown gradually with every new generation, but is still very compact for it to be full-framed. The camera still has 24 megapixels, but the image sensor is new with far better performance in low light, and a lot faster. Something that has given a shooting rate of 10 frames/s 4K-video in 100 Mbps from a 6K-feed, and super fast autofocus with an entire 693 phase-detection AF points, which covers 93 percent of the image area. Canon EOS 6D Mark II and Nikon D750 are nowhere near such raw specs. The shooting rate is far lower, none of them have 4K video, they lack a built-in image stabiliser, and the cameras are bigger and heavier. But they beat Sony on two things: Battery capacity and lens selection. 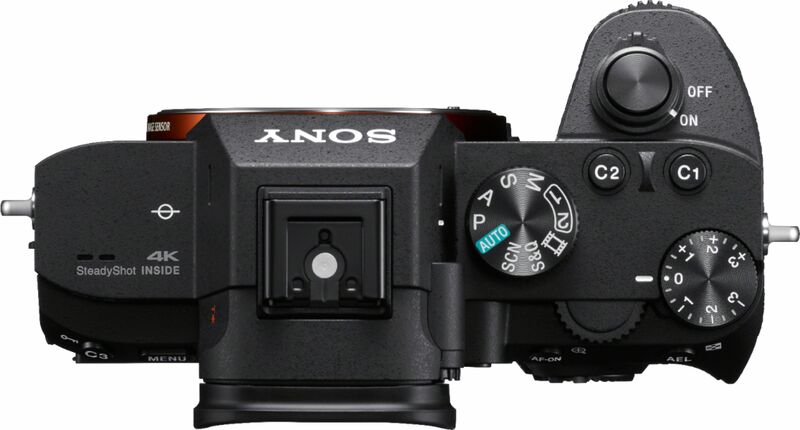 However, Sony a7 III has better battery life than before. 610 shots if one uses the viewfinder, 710 if one sticks to the LCD monitor. More than twice as good as its predecessor. The Sony camera can accommodate two SD memory cards with the one slot extending compatibility to the UHS-II format. It also has a 5-axis optical in-body image stabiliser, which provides up to five step compensation. Although the camera is Sony’s entry-level model, it is far from being stripped. There are mic/headphone jacks, HDMI and USB 3.1 connections. The camera can store uncompressed image files which provide better colour depth and dynamism. It can also store 4K-video either as a snippet from a 5K-video feed with a 1.2 x crop factor-Super 35, or without from a 6K-feed. It also has video profiles such as S-Log2 and 3, HLG, zebra functionality for exposure control on video, and focus selection for manual focus. There are also many options for changing settings, program buttons to a preferred function, fine-tune focus, and much, much more. Sony has also improved its usability, to some extent considerably, although the startup time is still a pain. But the hand grip is larger and more comfortable than on the a7 II. The front and rear mode dials are easier to grip, several of the buttons are larger and the joystick on the back makes it easier to move focus points wherever you want them in the viewfinder. The viewfinder is large, bright and sharp, but the resolution, noise and blackout time are not much to brag about. The touch performance on the low resolution screen (921k), is nothing great either, the response is slow and imprecise, but something must be sacrificed to keep the price down. It is also worth noting that the camera also does not have extensive weather proofing such as Sony’s professional a-cameras have. Apart from that, the Sony camera is a complete, instant, easy to use and above all a very good system camera for advanced users. It does not match the resolution of the more expensive Sony a7r III’s 42 megapixels, nor has the shooting rate and response to the a9, but it sweeps the competition aside on almost everything. It’s not only that the shooting rate and the option of 4K-video is better here than on similar full-frame cameras from Canon and Nikon. The image quality is also better, and I did not expect that. One can improve detail sharpness with 36, 42 and 50 Mp, but for all-round photography, the camera provides more than good enough resolution and sharpness. It is on equal footing with the EOS 6D II and D750, but the dynamic range is better, with about one exposure step, and the image noise is better controlled. In fact, all the way at 12800, grain noise and colour noise start having a visible impact. It means that one can photograph in very dim light, without worrying about having to spend a lot of time in processing the noise. A small note: In quiet mode, images taken in low light may get stripe artefacts from light sources, and finely masked and checkered patterns may create a moaré effect in the images. Like all third generation Sony a-cameras, they’ve succeeded with colour rendition better than before. Skin tones look far more natural, and green leaves, blue skies, and red cars don’t look so over-saturated any longer. The quality from 4K/25p is outstanding, with amazing sharpness, only spoilt by some rolling shutter when panning fast during recordings. The Sony a7 III is by far the best among the most affordable full-frame cameras on the market now. It is a few thousand kroners more expensive than the competitors’ models, but is far better equipped, with a higher shooting rate, better video capabilities, and actually also better picture quality. The Sony camera is perfect for all-around photography, weddings, portraits, travel and anything that requires high-quality video footage. It is suitable for pretty much anything except the fastest sports, where the focus speed can suffer if the selected aperture is too small. The tilt screen is always handy. Highlights: 5-axis optical in-body image stabiliser, Wi-Fi, Bluetooth, foldaway LCD monitor, 2 x slots, joystick, TTL hotshoe, HDMI output, microphone/headphone jacks. USB 3.1.